This course includes: 8 Category 1 AMA/ANCC credits, all course materials, guaranteed acceptance anywhere in North America, 100% money back guarantee. 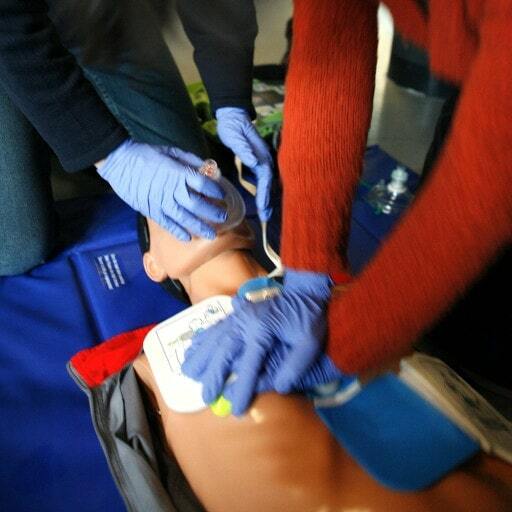 No skills test necessary for CPR courses. You can complete our course entirely online. Paramedics and EMTs must complete the skills form, and we provide the skills form in our course. But for in-hospital providers, skills testing is strictly optional. Our exam is multiple-choice format and covers all content in the course. You have three attempts to complete this test, and after each attempt you will receive immediate scoring that shows which of your answers were correct or incorrect. Our pass rate is over 95% on the first or second try. You are always welcome to call in or email us for assistance during your course. When you complete your exam it is immediately* scored and if you pass, your provider card is emailed to you. We also send a printed copy of your card the next business day. The card does not say "online" on it. Following is the exact text of what is on the card. This card certifies that the individual above has successfully completed the CPR course requirements and cognitive evaluation in accordance with ACLS Training Center curriculum and American Heart Association® guidelines. And our card is accepted anywhere in North America. We also have a full 30-day money-back guarantee.